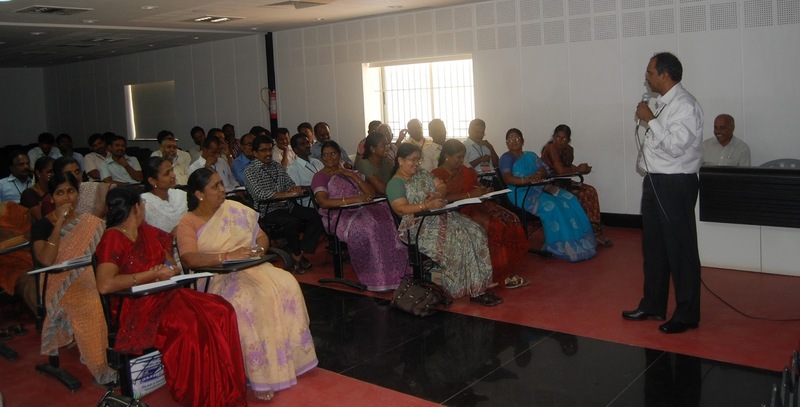 Sree Saraswathi Thygaraja College, Pollachi organized a one day refresher programme on Psychology entitled “Knowing Me & Knowing Others” for Pollachi revenue division staff on May 11, 2013. The participants were given intense training in the areas of human personality, emotional maturity, life goal setting, effective team building, human relationships, communication skills and stress management etc ... with a view to helping them to understand themselves as well as others in their personal life as well as professional endeavours. 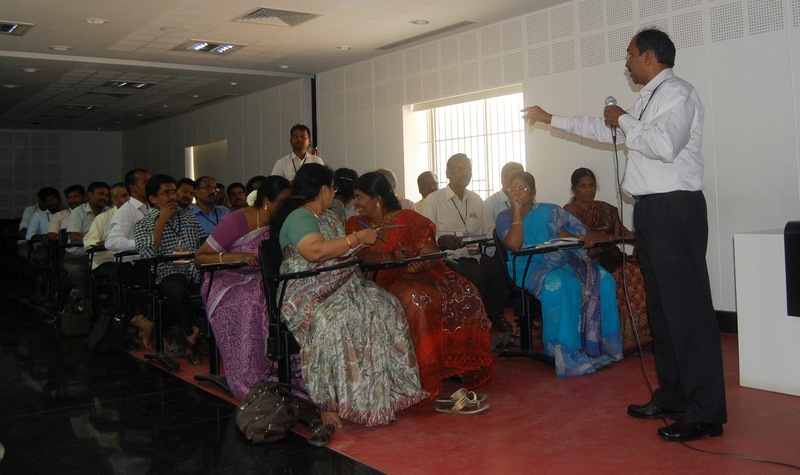 Today similar soft-skill trainings are gaining momentum in the corporate world. Government employees are not privileged enough to have such exposures. Hence the Sub-collector of Pollachi Ms. Rashmi Siddarth Zagade IAS sought the assistance of Centre for Counselling and Guidance to offer one day refresher program for the revenue employees. 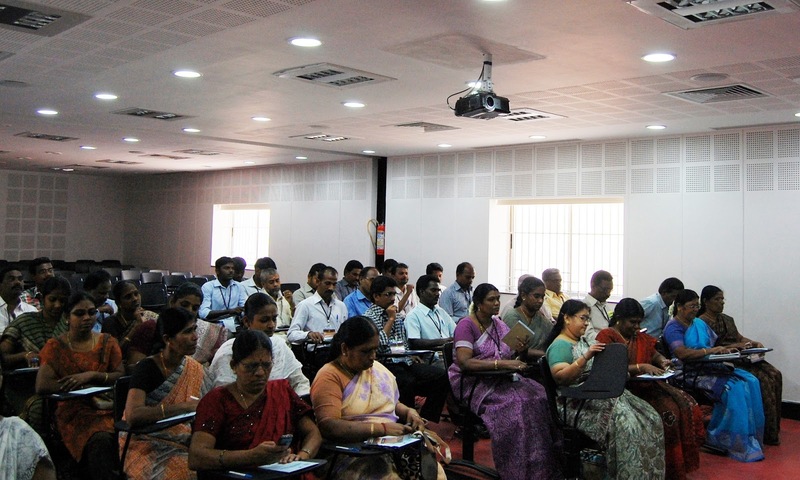 56 participants from Pollachi Revenue Division participated in the program. Dr.V.Venkateswaran, Principal welcomed the gathering and Mr.Vijayamoghan, Chairman of the college in his presidential address congratulated the initiatives taken by the sub-collector and stressed the need for such program for the government employees. In her inaugural address Ms. Rashmi Siddharth Zagade, I.A.S., Sub Collector, Pollachi assured that the program will pave way for a long term change in the outlook of the revenue employees to know themselves fully and equally others to maintain good understanding and relationship with others and to involve and dedicate themselves in tuning out their duties. She also promised to organise such refresher program to encourage and empower the revenue employees in the coming months. Dr. Janetius, Director, Centre for Counseling and Guidance conducted the programme. 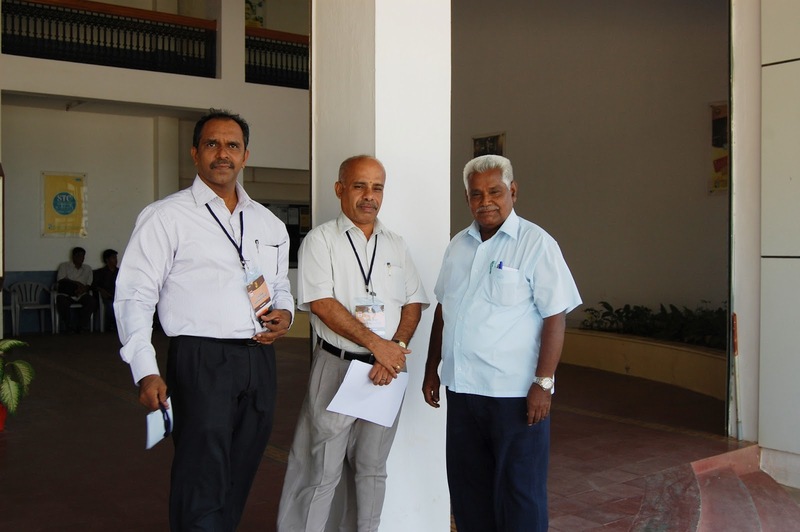 Prof. Ramachandran from MBA department of Sree Saraswathi Thyagaraja College and M.Balakrishnan, PA to Sub Collector, Pollachi coordinated the programme activities. 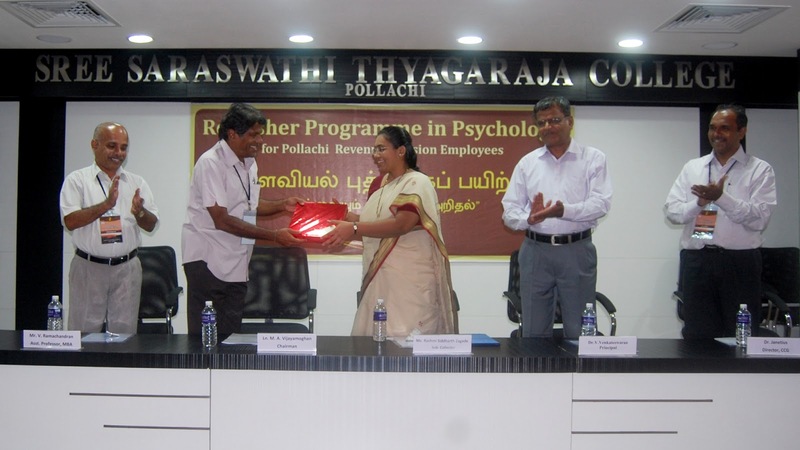 The participants were issued certificates in the valedictory session of the program by the Sub-Collector of Pollachi. The revenue officials welcomed the initiatives taken by the sub-collector and expressed their desire to partake in such programs in future.